This moth’s blog is by Richard Bracken who works for local wine merchant Grapevine. It’s a role he’s new to, having worked at Askham Hall and the George and Dragon Clifton over the past 5 years. Richard’s passion for wine developed whilst at Askham Hall where he was fortunate to be plucked by Nico Chieze to be his assistant, which entailed drawing from his vast knowledge. 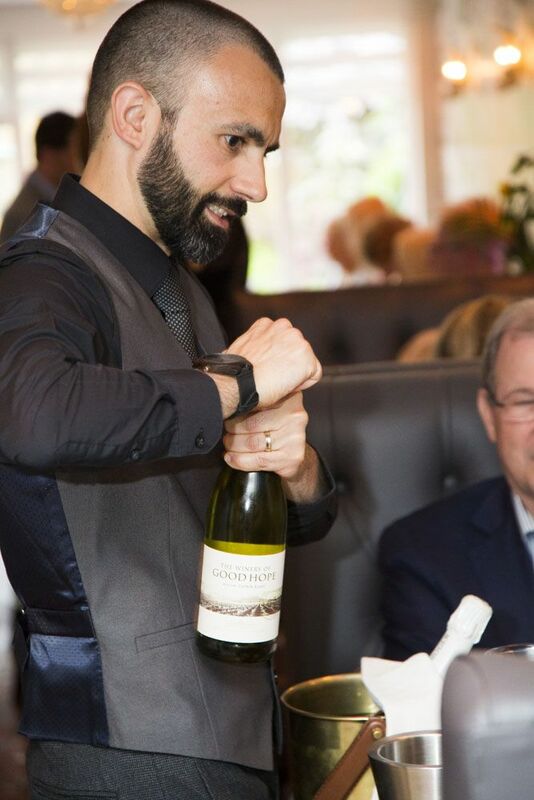 Nico encouraged him to take exams with the Court of Master Sommeliers and Wine and Spirits Education Trust, being tutored along the way by a number of Masters of Wine, as well as helping him reach the Regional Finals in the UK Sommelier of the Year competition. 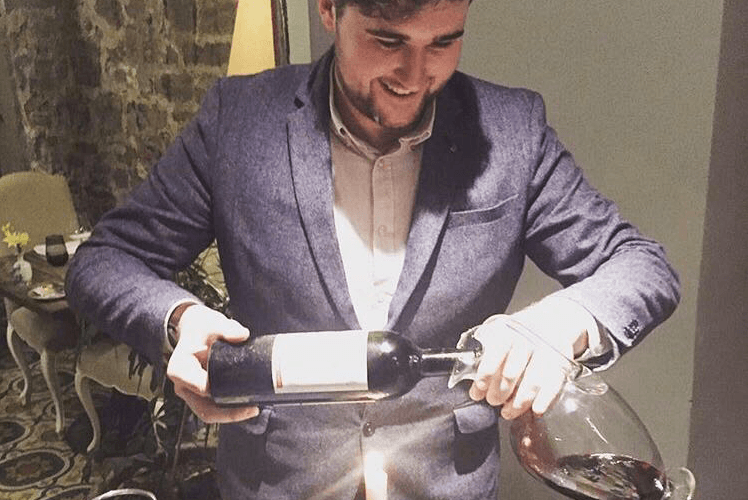 He also undertook a number of trips to work voluntarily in some of the top restaurants in London and had the chance to help in the 2016 vintage at some fantastic Chateaux in Bordeaux. His thirst for knowledge has certainly not been quenched and he has every ambition to reach the highest echelons of qualifications within wine. “We’ve also added a fantastic Vinho Verde to the list, much to Nuno’s delight! Vinho Verde is a region in the very North of Portugal and produces wines that are light, fresh and zesty. This example, from Quinta de Raza, is a blend of Arinto and Azal which bring flavours of lemon zest and grapefruit. It’s great enjoyed on its own as an aperitif or with light and fresh fish dishes. If you have the chance to try it, notice the slight spritz. That’s due to the wine being bottled when it’s fresh and young which traps the CO2, creating a real sensation in the mouth. “You might spot Sir Richard Branson tucking into Phil’s food when he hears his wine is on the list. Believe it or not he owns a vineyard in the Franschoek Valley, South Africa, called Mont Rochelle and uses the talents of a brilliant and pioneering English wine making team to produce wines of top, top quality. The Little Rock cuvee is blend of mostly Cabernet Sauvignon and Merlot with dollops of Mourvèdre and Petit Verdot – Bordeaux meets South of France if you will. It’s bursting with cranberries and raspberries with a lovely supple texture, as well as South Africa’s trademark smokiness. If it’s good enough for Sir Richard, it’s good enough for me. We sell gift vouchers in denominations of £10, £20 and £50. 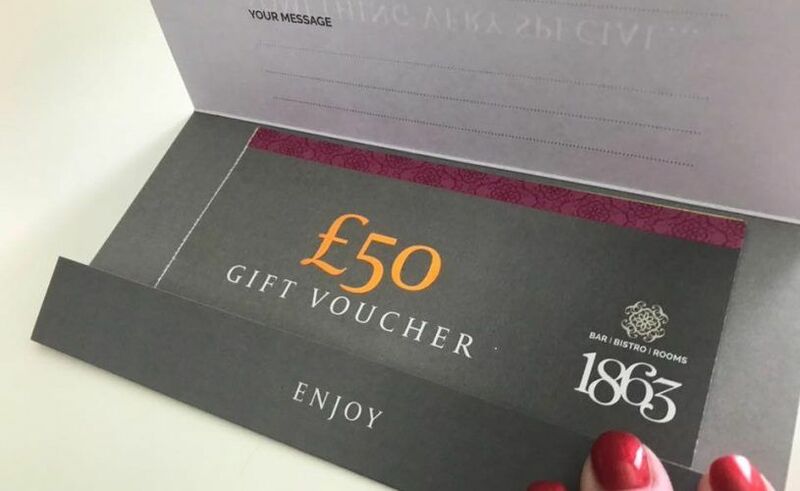 The vouchers come in a stylish presentation wallet with space for your message and you can either call in in person to buy them or we can help you over the phone and post them out to you. To buy over the phone please call the team on 017684 86334. 1863 Bistro is open 7 days excluding Mon 24, Tue 25 and Wed 26 December. 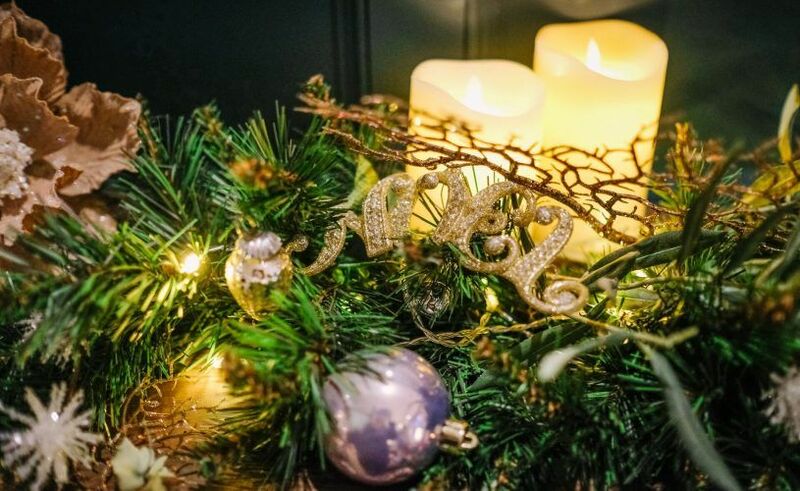 Mon 24 December: The bar is open from 2pm – come and enjoy some Christmas cheer! 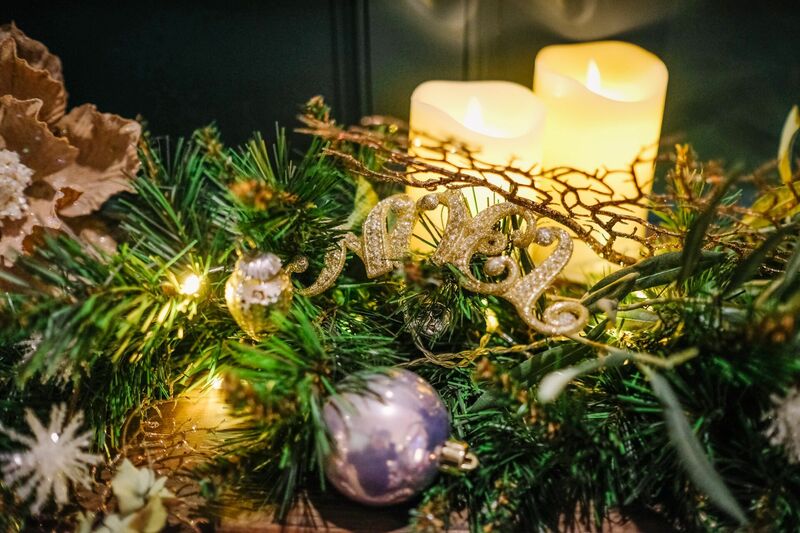 Our festive menu is served from Sat 1 December – Sun 30 December. Please note we are closed for dinner Mon 24, Tue 25 and Wed 26 December. Please note the maximum group size we are able to accommodate is 6. If you would like to bring a party larger than 6, please get in touch to discuss your requirements. Please note groups of 6+ are subject to deposits and pre-orders. To book a table, please call 017684 86334. 10 years on…the things we remember! When we bought Elm House in 2008 it was a 5-bedroom B&B. 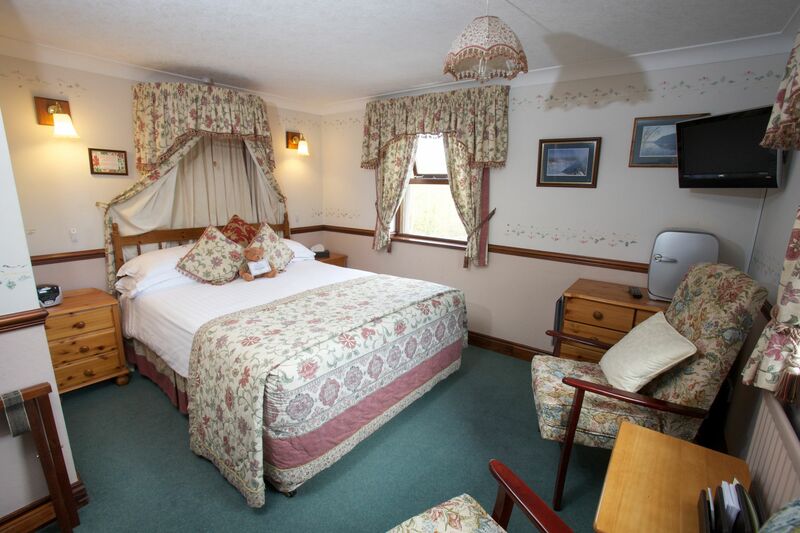 We renovated and restructured to make it into 8 bedrooms and over the course of the next 6 years we renovated and redecorated all of the rooms, timescale and budget allowing. 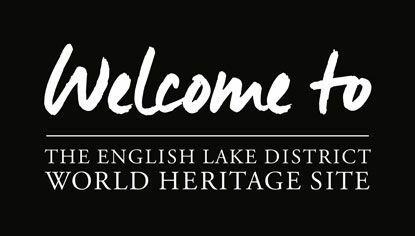 Did you know that Mark spent 5 years as Chair of the valley’s local tourism group – The Ullswater Association? As if he doesn’t have enough on his plate, that meant coordinating a group of 70 businesses around the valley in an effort to raise Ullswater’s profile to visitors both old and new. Anne’s brother, Colin Hindle, took over the day to day running of Pooley Bridge’s beloved ‘Granny Dowbekin’s Tearooms‘. 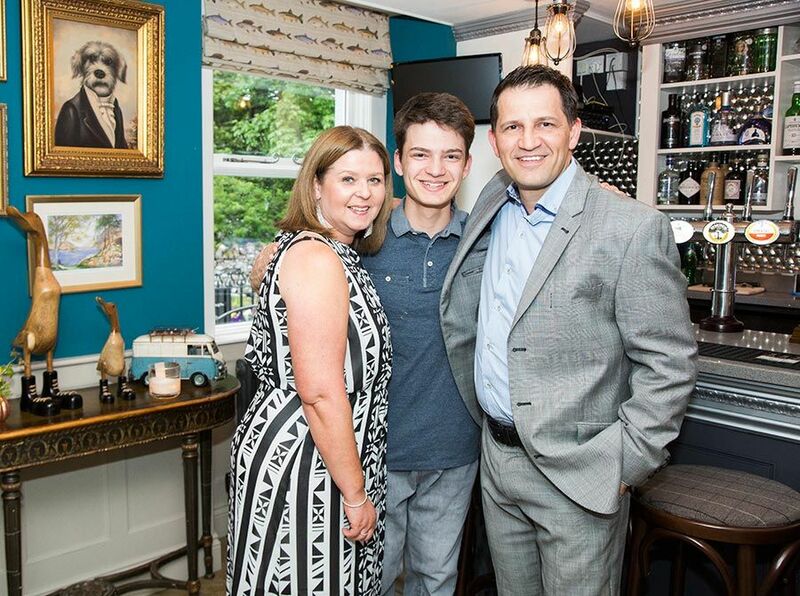 Now the Hindle family’s businesses ‘bookended’ the village. We made our TV debut on none other than Cumbria TV in 2012 – the evidence is still lurking on the internet for all to see so you go, enjoy a giggle at our expense! An important moment in our personal lives as we designed, built and christened our Summer house. 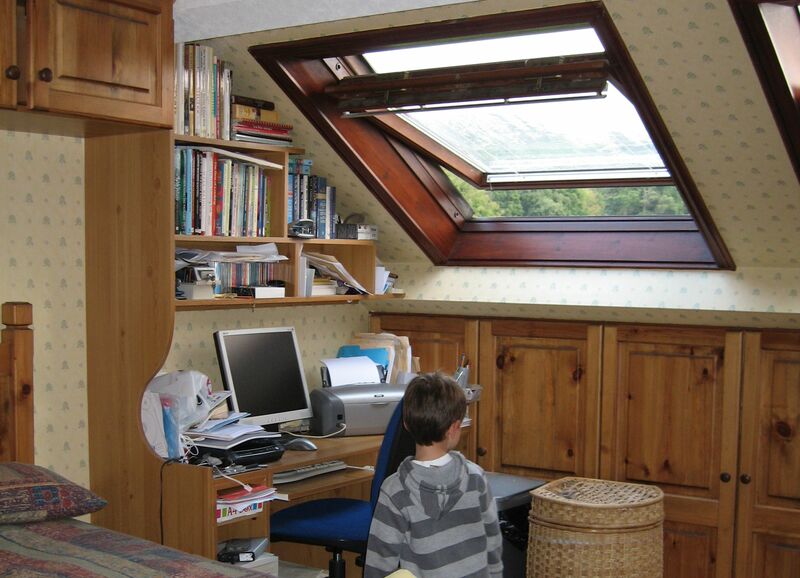 After six years of living on the top floor of Elm House with no space for entertaining, our Summer House was a welcome (and social) addition to our living space. 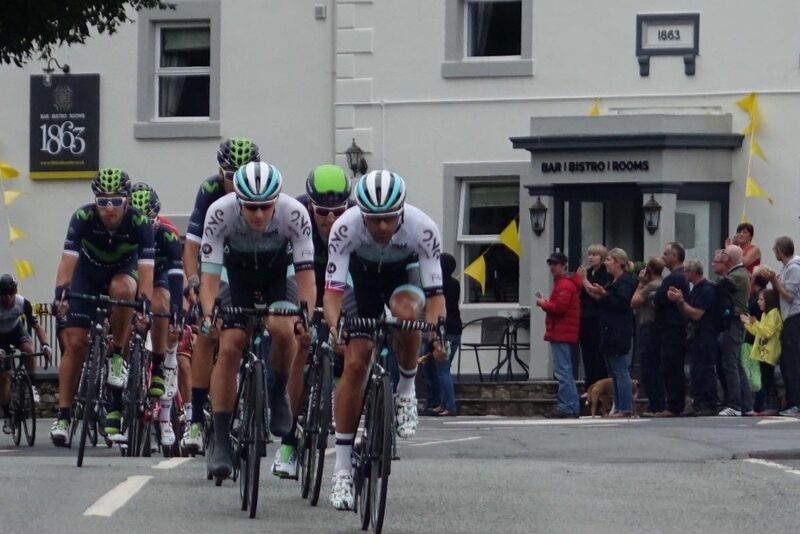 Bikes – a lot of them – it was brilliant! 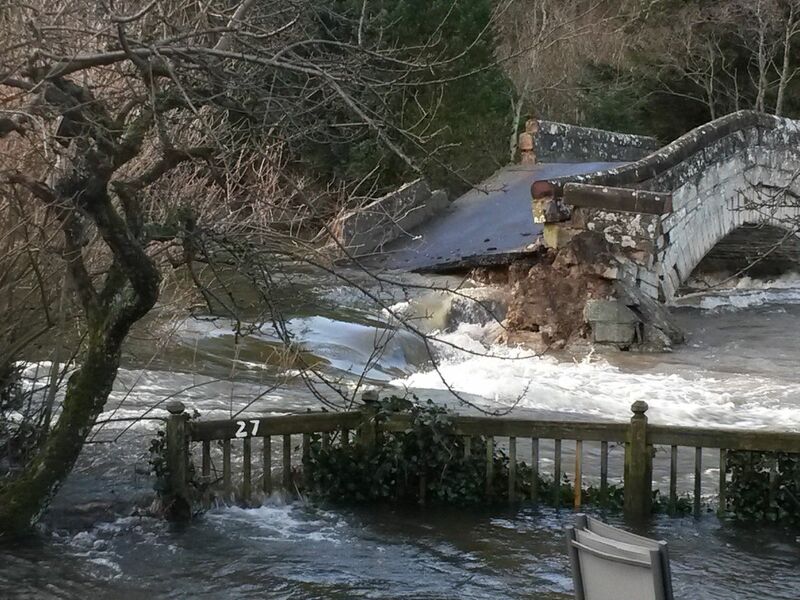 On Sunday 6 December, following the devastation of Storm Desmond, Pooley Bridge breathed her last and collapsed, dramatically into the angry and swollen waters of the River Eamont. The transformation of Elm House was not over. Even after doing the rooms there were still the communal areas that needed updating and so with this in mind at the end of 2014-start of 2015 we made the decision that we needed to reinvent ourselves. We had identified a gap in the market for a relaxed fine dining restaurant in the village and felt we could offer this, so in November 2015 we closed our doors as Elm House and after 6 1/2 months of blood, sweat, tears and a lot of dust and rubble we re-opened on 20 May 2016 as 1863 Bar Bistro Rooms. 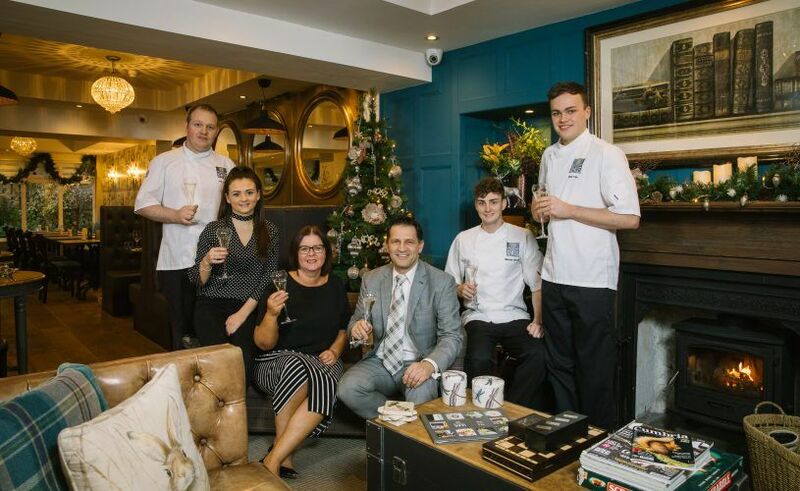 Joseph aced his GCSEs and 1863 Bistro earned its first AA rosette while the rooms achieved a spectral 4 star Gold Awards – a very rewarding year for us personally and professionally. So we just wanted to say a huge thank you to all customers and guests, old and new, and here’s to the next 10 years – whatever that may bring. A recent addition to the Ullswater Valley food scene is marking 18 months in business with two AA accolades. 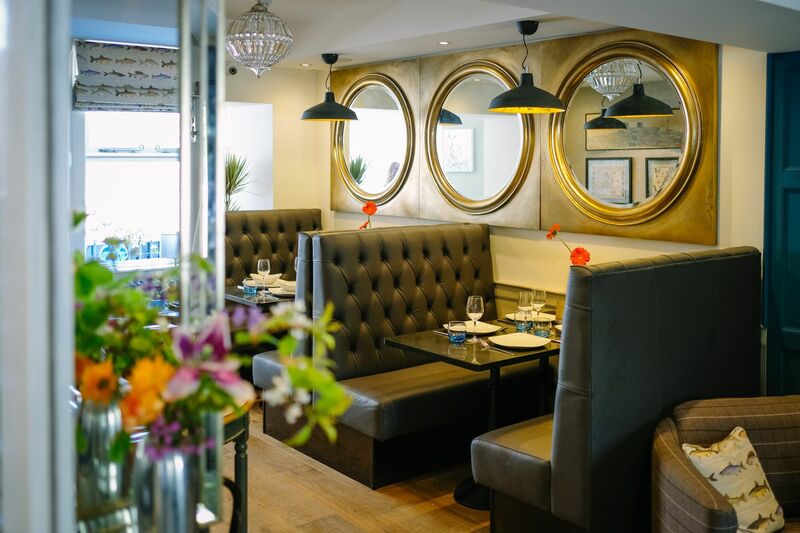 After opening its doors to guests in May 2016, 1863 Bar Bistro Rooms in Pooley Bridge is celebrating one and half years of business with not one, but two AA awards: four gold stars for accommodation and their first rosette for food. From a Bistro perspective, this puts the ‘restaurant with rooms’ into the top 10% of restaurants in the country. The AA Rosette scheme has long been established and successfully recognises cooking at different levels nationwide. The success or failure in achieving Rosettes is based on a single (sometimes multiple) visit to a hotel or restaurant. Essentially it’s a snapshot, whereby the entire meal is assessed. For over 150 years, 1863 has quite literally been a cornerstone of the village. 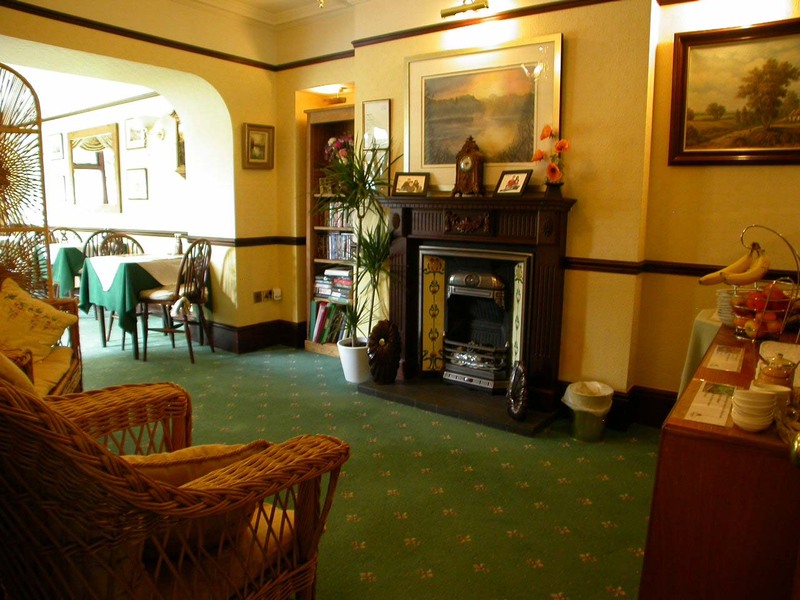 The property is set in the heart of Pooley Bridge, a short walk from the shores of Ullswater. It was built first as the village blacksmith’s and later became the post office. 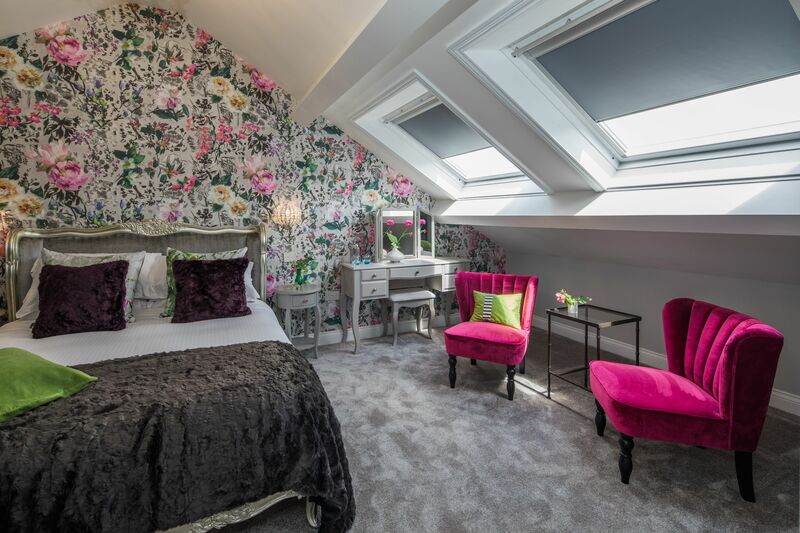 Now reimagined for the 21st century, 1863 features a bar, bistro and seven elegant bedrooms. 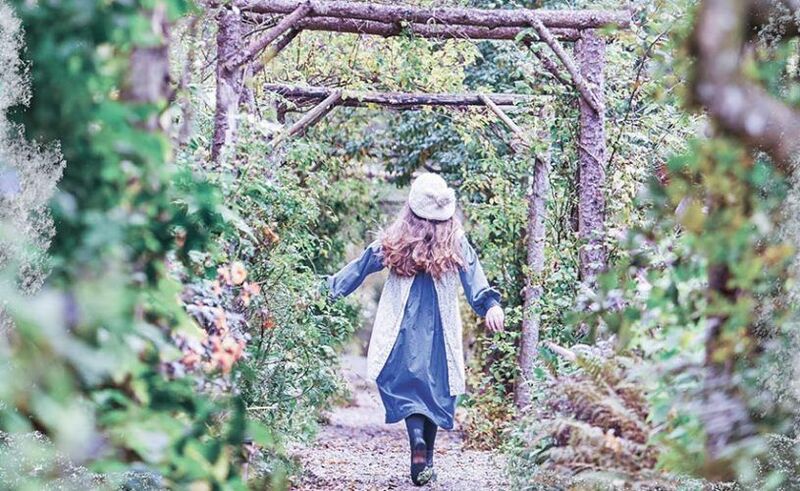 A family business, they say they enjoy getting the little things just right, welcoming guests back time and again to share in a slice of Lakeland paradise. In 18 months since opening, the young team headed up by owners Anne and Mark Vause have welcomed ’over 15,000 locals and visitors from as far away as Hong Kong and New Zealand have enjoyed dinner in the Bistro while over 6000 have used 1863 Bar Bistro Rooms as a base for a short break to discover the beautiful Ullswater and Eden Valleys and of course the wider Lake District. In the kitchen, Head Chef, Phil Corrie leads a small, young but talented and ambitious team comprising four chefs with a combined mean age of 20.5 years! Between them they’ve worked with 23 local, regional and national suppliers to create 115 different dishes plus 46 flavours of ice cream and sorbet. That equates to over seven menus in 1863’s first 18 months, or put another way, one new dish served every three days! To add to that, Chef de Partie, Niall Frith was named ‘UK’s best Young Seafood Chef’ of the year recently in the coveted UK Seafood competition. When asked what the next 18 months holds, Phil’s not resting on his laurels. 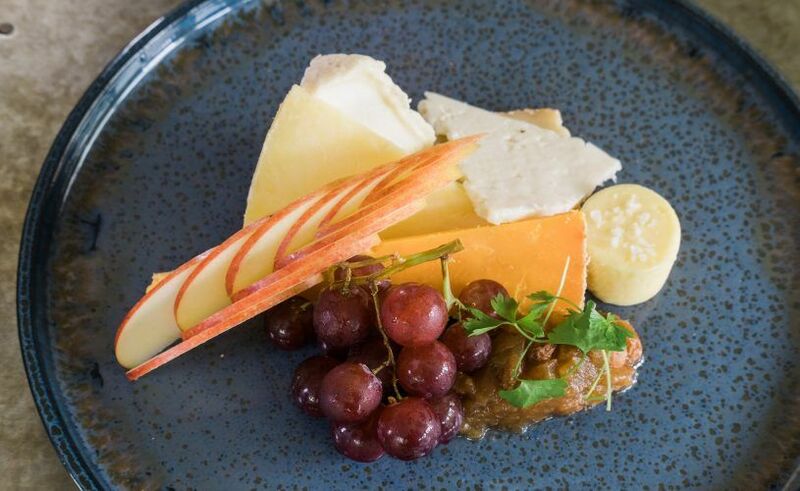 The young chef and graduate of Kendal College is focussed on building and expanding 1863 Bistro’s reputation both with customers and critics while pushing and developing his young team on the technical front. 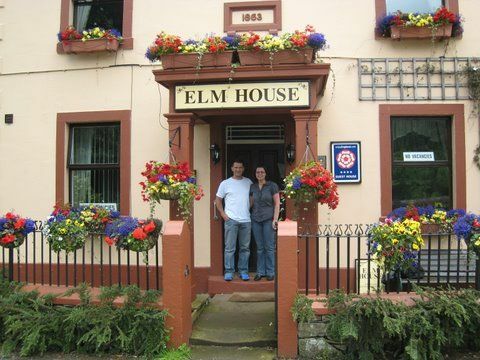 Previously known as Elm House Bed and Breakfast, 1863’s owners, Mark and Anne Vause, moved to the area from Blackburn in 2008 and spent eight years running the award-winning B&B. 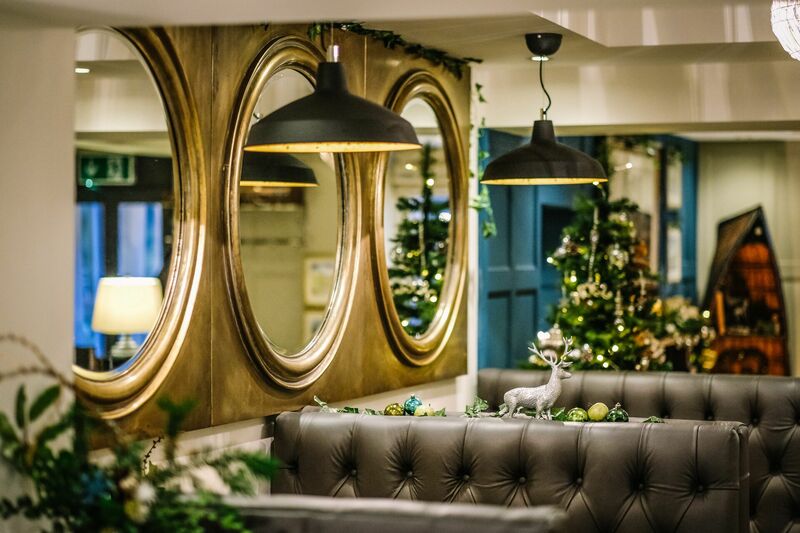 In November 2015, the entrepreneurial couple had already made the ambitious decision to close to undertake a £300,000 refurbishment project and relaunch in early Summer 2016 as 1863 Bar Bistro Rooms. Despite the dreadful storms of Winter 2015/16 and ensuing challenges, the establishment opened on time and on budget in late May. “I still have to pinch myself daily when I think what we’ve managed over our first year and a half in business. 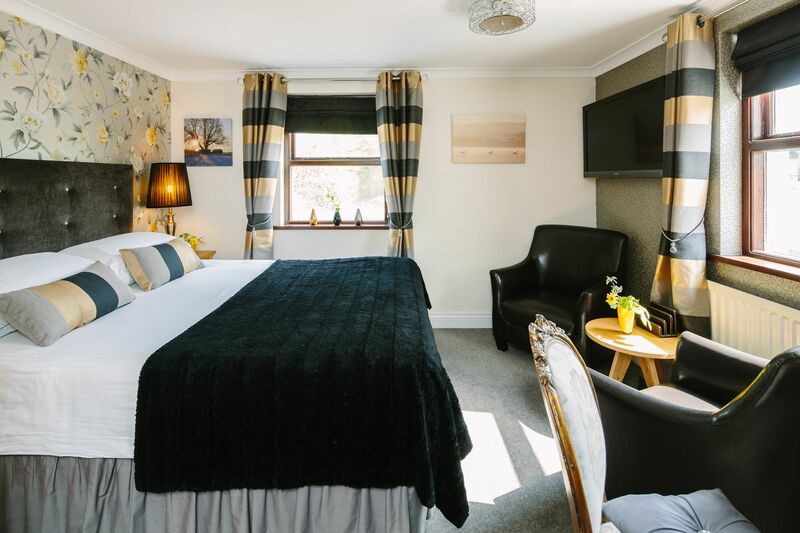 We’ve evolved from a humble B&B to a ‘Restaurant with rooms’, expanded our team five-fold and achieved the AA gold standard for our rooms plus our first rosette for food. We count ourselves extremely lucky to work with such a dedicated team both front of house and in the kitchen and of course to have such loyal guests who dine and stay with us. With a Christmas menu featuring festive-inspired flavours and turkey (but not as you might expect it! ), the bistro opens at 6pm daily. Booking is strongly advised for bookings in December. To book, call 017684 86334. Gift vouchers to any denomination are available by calling direct on 017684 86334. For further information and the Christmas menu, visit www.1863ullswater.co.uk. November is here (and nearly over!). 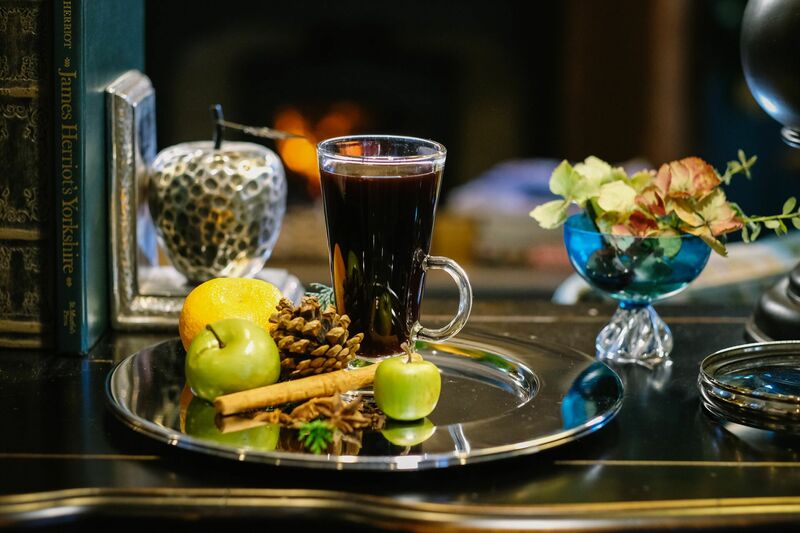 The trees and the hedgerows are now bare and the first snow has already dusted the tops of the fells – but while the landscape has taken on a distinctly wintery feel, the fire is on and the larder is full. 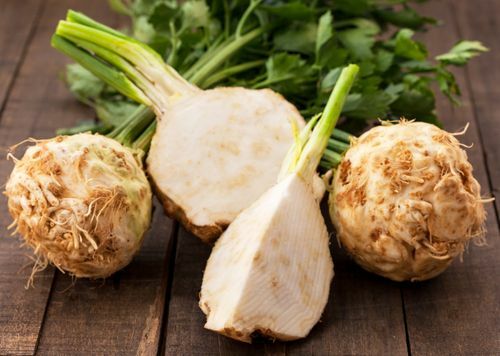 From a chef’s perspective, I always get excited about Evesham celeriac and Brussel sprouts which are now becoming widely available and both feature on our festive menu – although as my grandma taught me, I stay clear until they’ve had a good bite of frost. As some of you may know, I trained at Kendal College graduating in 2012. Earlier this month, I was invited back to do a Guest Chef evening in the college’s restaurant. I remember working with chefs in the past doing these evenings – Simon Rogan of L’enclume and Stephen Doughety of First Floor Cafe @ Lakeland were personal highlights for me, so it was an honour to be asked to lead one of these evenings as a returning student. I put together a 6-course tasting menu compiled of 1863 dishes past and present and worked with the students to give them an insight into the style of food we offer here. The night was a great success and received really good feedback from the restaurants guests. 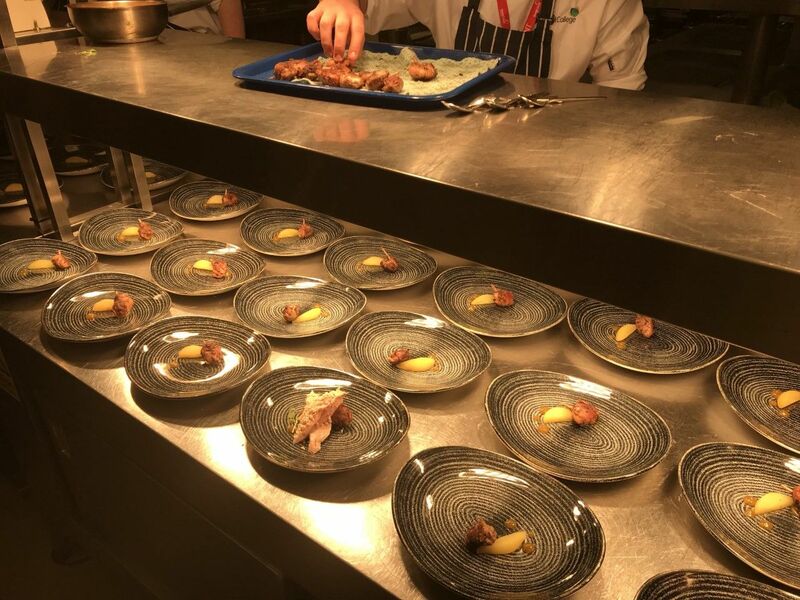 The students were a pleasure to work with and Kendal College are still at the top of their game, training some of the most talented chefs in the area – great for the industry and great for the future of the Cumbrian food scene. And now on to Christmas. 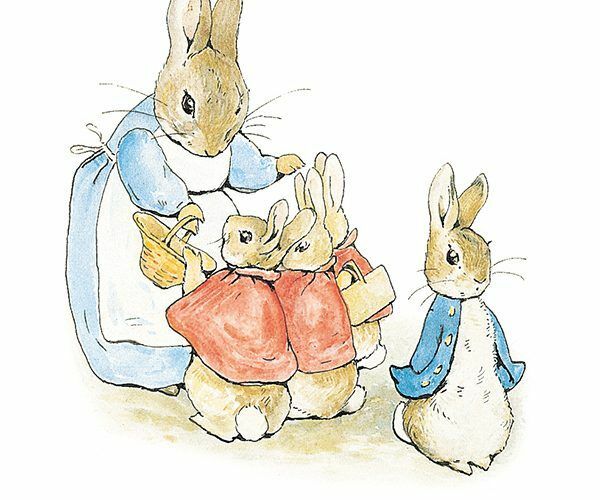 Anne and her team of helpers will be busy this coming weekend putting up the decorations (keep an eye on their progress on social media!) but my focus remains on the kitchen. Our Yuletide menu has a good sense of seasonality (just as you would expect) without being a typical Christmas menu. I’ve taken flavours of the festive season and incorporated them throughout the menu to give a little sense of something yet subtly familiar. Celeriac and Brussel sprouts are on there – as is turkey, just not quite as you’d expect it. I know Mark’s looking forward to the Clementine tart while I’m quietly excited about the addition of Douglas Fir as a flavour – have a look here. Whilst currently thinking of Christmas, I’m working on a New Year’s Eve menu to celebrate how far we have come over the last year. It’s going to be a real showcase and offer a glimpse into the development for next year at 1863. 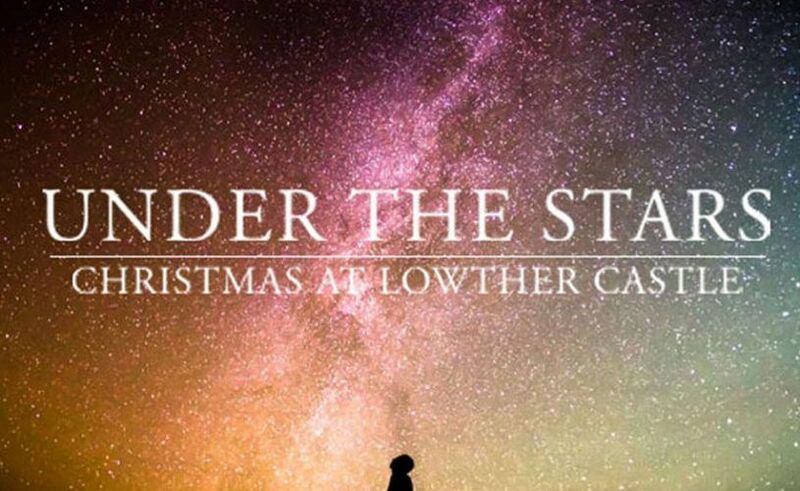 Although the evening is already sold out, we’ll publish the menu for you to take a look at on 1 December. It’s such an exciting time and I’m already looking forward to our first tasting event of 2018!